I've taught hundreds of students in my 20+ years as a college and university professor. I also have a daughter who just started her first semester in college, and a son who will be joining her in a couple of years. In reflecting on my experiences, I came up with some pointers that I truly believe will help you succeed. These are tried and true. I have uttered them millions of times to a wide array of students, including my own children. I often think "everyone knows this stuff" – but many times that is not the case. So brace yourself; you may find this makes you yawn. Yet so many people do not do these simple steps to succeed in college. 1. It's the syllabus, stupid! OK, everyone knows this, I presume. But, why does everyone avoid this boring but effective and simple piece of advice? When you receive your course syllabus, study it carefully for assignments and due dates. In a traditional semester, most college professors do not begin testing for about four weeks. This time, early in the semester, is when a student should jump all over a research paper, case study or group project. Don't wait until mid-semester to begin a major project. I tell my daughter to visit with her professors before the semester to ask for a draft of the syllabus if they are willing to share one. Think of how much pain and anxiety you can save yourself (and others) by starting now! 2. Exams, in most cases, will not be like the ones you took in high school or dual-credit community college. Too many students make the mistake of sticking with their high school study methods. Most university exams will push your critical thinking and application skills. While memorization may be a component of your tests, don't rely on that method alone. Certainly you'll be required to memorize facts. However, believe it or not, most professors expect that you'll actually follow the objectives for each chapter and lecture. Find out what those objectives are and know them by practicing them. In my experience, nothing replaces active learning by writing out your answers (more on this soon). And don't stop there. When you know the objectives well, make up your own questions on the material. Think self-made study guide. Then, when you master that information, trade your study guide with another student (or within a peer learning student group). Are there case studies in the chapters? Do them – we expect you are working on these, so you should expect to find content from them on your exams. Students can't do enough of active learning for exams! 3. Visit your professor and graduate instructors. Don't be a professor stalker or brown-nose special – but go see them enough to let them know you care about their courses. Share interesting things you find on your own that relate to the class. 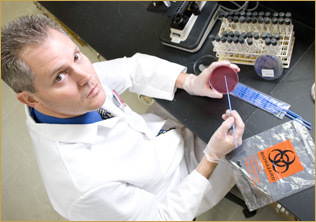 I teach clinical microbiology and infectious disease, among other courses. I love when students send me links that relate real-world events to what we are studying. You might even find that he or she will use this information in class or on an exam. How great is it that you are contributing to the course development. Yes – gasp! – others might think it's strange when you speak up in class. But believe me, we remember those who take part in class discussions. Most professors love to talk about their research or current events, but when we only hear the crickets chirping, we move right on through the coursework. 4. Be alert for what your professor writes on the board, course blogs, emails or other interactions during the lecture or outside of the formal coursework. I tell my students that when I stop and write something down on the board, it's about 99 percent guaranteed to be on an exam. Watch for mannerisms that might give you a hint for their emphasis of material on an exam. For instance, does the professor become animated over a particular topic? I have the habit of saying "hint, hint " when I discuss something I think is very important to their exam. It's frustrating when a professor actually tells students that "this will be on the exam, " and many students still don't know that information. 5. Writing matters – yes, even the grammar counts! Most professors expect you to know how to write. They expect you to be able to express yourself clearly in writing. I place a great deal of emphasis on clear writing in my courses, whether on an exam or paper. If you struggle in this area, then don't wait until the project is due. Most universities have writing laboratories. Our university actually has a writing assistance center that allows students to turn in assignments for feedback and editing: everything from grammar and idea development to proper citation style and bibliography style. Suppose your loved one is going in for surgery. The surgical orders were thrown together without any regard for spelling. Ureter, urethra, and uterus – misspelling means the wrong surgery! The same goes in most professions unless you are majoring in Texting. (Plz, r u kidding me? OMG!) The written word still matters. Clearly, your resume and job application will be critical in seeking employment. First impressions matter, and often, that first impression could very well be your resume or an email. 6. Your mom was right – social skills and good manners are where the rubber meets the road. When you send your professor an email or text or call them on the phone, use proper etiquette. Don't scrawl an email that is horribly constructed. In college, first impressions are often made by your written communication. This is especially true in large undergraduate classes, but it can be just as true in small upper level classes. Do you really want to present yourself as someone that can't write a sentence? Or someone who doesn't even take the time to draft a clear email or letter? I have a colleague who will not even reply to sloppy emails from students. When they ask him why he hasn't responded, he tells them he receives hundreds of emails every week and expects more than a hastily written note. When you do receive assistance (think letter of recommendation, a job reference, or even some great advice), a handwritten thank you note will be something they remember for a long time. By the way, this is also a great idea after a job interview – even if you don't get the job! I also know that most professors and colleagues in general appreciate emails and thank you notes at later dates to let them know how their assistance helped you get a job or special award. My mom made us children hand write thank you notes so often that it's just natural for us. It's a wonderful habit – practice it often and share it with your children; it's one of the greatest gifts to give and receive. 7. Do more than what's expected! Oh, how I dread the question, "What do we have to know for the exam?" I often tell my own children this sad but true statement. I tell them that if they are just mediocre in most college courses, they will stand out in a good way. What I mean is that it seems we have all allowed mediocrity to be the new excellent. Don't become happy with mediocre. Go above and beyond what's expected. Instead of asking what's going to be on the test, offer to lead a discussion in class over a topic. Lead a study group and ask the professor if he or she would like to supply you with study topics. Dare to read your textbooks and assignments and ask questions during class. It's true – you get so much more out of it when you put more into it. As the late Robin Williams proclaimed as the English teacher in Dead Poets Society, "Let us hear your yawp!" Be great, not mediocre. 8. Surround yourself with great mentors. This could very well be the best advice I can give anyone, whether it's to finish your PhD or succeed in everyday life. This means you have to be willing to be mentored. I have crossed paths with so many great mentors in my life; I am overwhelmed with the blessings. A mentor might be one of your professors. It might also be your dormitory resident, or an academic advisor, or someone not associated with the university. I have mentors from all parts of my life, and each of them know when to listen but also when to push me when I'm making excuses about why I can't or won't get something done. 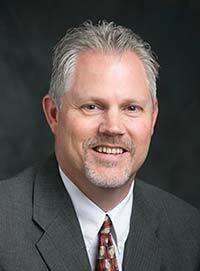 Our university has a formal mentoring program known as Bobcat Bond, but I try to tell every student I interact with that I'm willing to help mentor them. In some cases, this might mean that I realize I'm not the right mentor but I can try to find them one. The important thing is to surround yourself with peers and colleagues you admire who will listen, encourage you and push you to be great — even if that means telling you things you don't want to hear or believe about yourself. 9. Time is truly precious, so don't waste mine — or yours. This is a tough one not only for new college students but for professionals already practicing in their fields. I have interviewed many of my former very successful academic students. Of all the answers I get about how they were successful, this one resonates with most students. "I treat my academic setting (whatever that means) like it's my full-time job." For instance, most students take 12 to 15 hours in a semester. In reality, this means that for a typical three hour college class, one is in class for three hours that week (e.g. one hour on a MWF or one and a half hours on a TTH). So, this means if one is taking a 15 hour load in a semester, they are in class roughly 15 hours per week. Even in a heavy science major with a ton of laboratory time, students still have major blocks of non-class time. So why not use that time like it's your eight-hour day at a job? You are in class some days for two or three hours and other days five or six. When you have a block of time between classes, instead of heading back to the dorm for a nap or a three-hour lunch, find a quiet spot and get busy studying or doing some of that active learning I mentioned earlier. If you truly put in that time, you often can have a bit more free time in the evenings. Certainly, one should enjoy college life, but not at the expense of your grades. This is a very tough thing for most people. But show me the organized student and I'll show you a strong student who will go far in life. And if you need assistance with time management, organization or study skills, find help on campus or with a mentor. I've literally taught students how to manage their time. It about tough choices, but they are very doable. Discipline is something one can learn with practice. 10. If you have to work, try to limit the hours. Better yet, find a student worker position on campus. My daughter is working on campus as a student worker. The beauty of working on campus is that often you will find that when work is slow, they encourage you to work on your school work. Imagine that – getting paid to do your homework! This relates to organizing your time (#9). Instead of surfing Facebook or texting for two hours, do your math homework or get started on that essay. In my office, where multiple students work, I actually tell them if they are not working for us, I expect to see them working on homework. I know many students can't find work on campus and may have to work many hours to support a family. But if you are a traditional student and can find that campus job, it's a great way to have "skin in the game" and be surrounded by academics that might just turn into one of those mentors I mentioned. It's also a great way to build references for future career paths. When I'm wearing my "Dad hat," I try to explain to my daughter and son that earning your own money builds confidence and independence. My parents did it with us. They believed the old adage of "no free lunch" as well as the importance of understanding early in one's life the value of customer service. Dad used to tell us that no job is beneath a man. I began working in the 8th grade at a full-service gas station and later I picked up a second job in high school as a paid intern in the receiving and shipping department with M.D. Anderson Cancer Center – Science Park which influenced my future college major and career choices. It was a great job because I was delivering packages to every research laboratory so I got to meet scientists in the field of cancer research. The point here is that working as a student gives one perspective for the real world. It also gives one the opportunity to find early mentors that can strengthen your work ethic and understanding about a future career. Thanks Mom and Dad! 11. Try to find internships and other paid or non-paid opportunities to gain work experience with your career skills. Sometimes these are a natural part of the major. 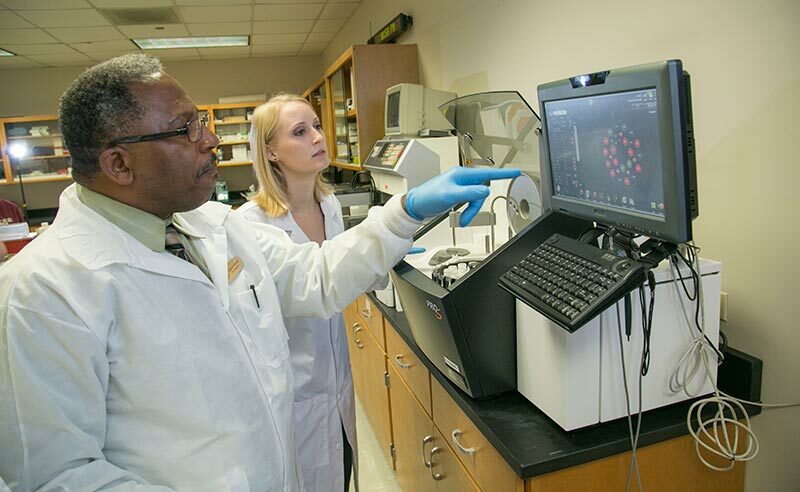 For instance, in our Clinical Laboratory Science major, our students are required to complete five different hospital clinical rotations, so it's something the student has provided for them. In other areas, it could be a competitive internship you apply for, or it may be something you volunteer for in the community. In many universities, professors are looking for undergraduate research help. Jump in – volunteer! It will make a huge difference in your future career and opportunities while boosting your prospects for success in the academic world. Here's another reason you might want to consider an internship – get paid while earning college credit. When I was a junior during my undergraduate degree, I was able to take an actual summer college course for credit by completing a ten week internship. In fact, it was at the same place I had worked in high school (#10) at a Cancer Center. I spent ten weeks working in a research laboratory honing my skills in cell culture and aseptic technique. It was great to get both a paycheck each month and finish the summer with a three-hour credit towards my major. But, the real perk of this internship was I found a wonderful mentor who would become a constant source of encouragement and help during my master's degree. But, I'll say to you what I always say to my own kids: Follow some of these simple pieces of advice, and you'll be on your way. Success is mostly about hard work and perseverance. When I look back on my life, I can remember my father telling us that "hard work never kills a man, so outwork everyone." Brains and intelligence are important, but persistence in the face of hardship is what gets the job done. Good luck and get started! 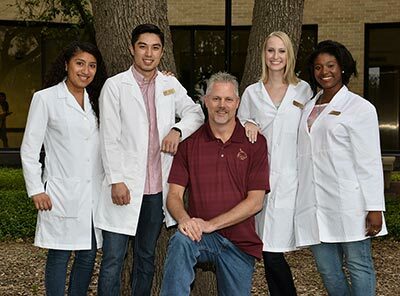 Dr. Rodney E. Rohde is Professor, Research Dean and Chair of the Clinical Laboratory Science Program in the College of Health Professions of Texas State University, where he spends a great deal of time mentoring and coaching students in this sometimes mysterious and vague path. He has published over 40 research articles, book chapters and abstracts and presented at more than 100 international, national and state conferences. He was awarded the 2012 Distinguished Author Award and the 2014 and 2007 ASCLS Scientific Research Award for his work with rabies and MRSA, respectively. Learn more about his work here.